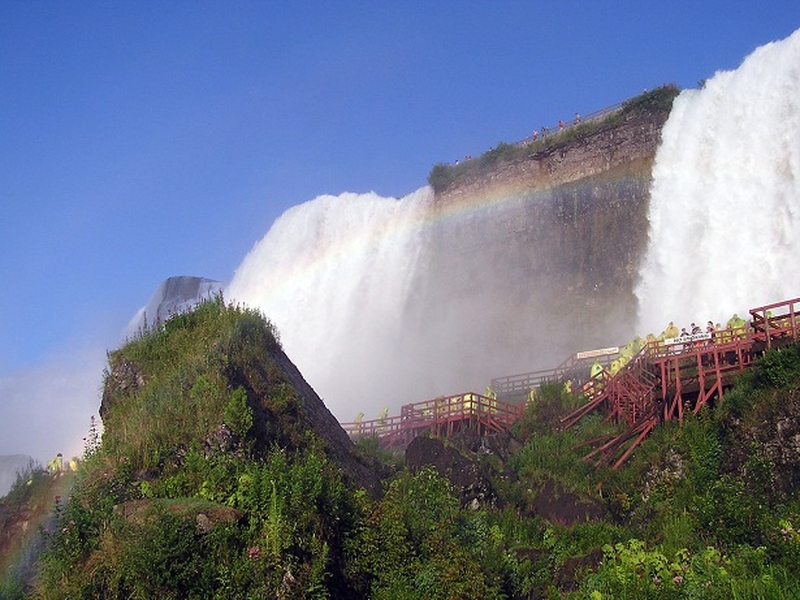 The two most famous and popular travel destinations in New York state are New York City and Niagara Falls. Not surprisingly, many travelers want to see both when they visit the Empire State. Unfortunately, getting to Niagara Falls from the Big Apple can be something of a challenge because it is on the U.S.–Canadian border about 400 miles from New York. The good news is that there are a number of great travel options available for those willing to take two or three days to make the trip. As anybody who has been to the falls will tell you, the sight of the magnificent waterfall is well worth the trip. Travel Time: Usually around seven-and-a-half hours. It can take longer because of traffic, the route you take or side trips. That means you should usually schedule nine hours for the drive. This means you will have to schedule two days for travel and stay at a hotel in Niagara Falls. Description: Several Amtrak trains offer direct service between New York’s Penn Station and Niagara Falls within a day. All Maple Leaf trains go directly from New York to the falls; only certain Empire Service trains go on to Niagara Falls. Maple Leaf trains also travel on to Toronto for those that want to see Canada. Check Amtrak’s website for schedules and reservations. The train allows you to see the beautiful scenery of the Hudson River Valley and upstate New York without the hassle of driving. Food and drink are available on the trains. One advantage to taking the train is that the Amtrak Station is located in the heart of Niagara Falls so you will not have to rent a car. Travel Time: The actual flight takes around an hour (60 minutes), but it will take around an hour to drive or take a bus to Niagara Falls. That makes the actual travel time around two hours, not including time spent reaching the airport in New York. Description: Flying is the fastest and often the cheapest way to reach Niagara Falls from New York. Most flights land at Buffalo Niagara International Airport, which is a 40-minute drive from the falls. 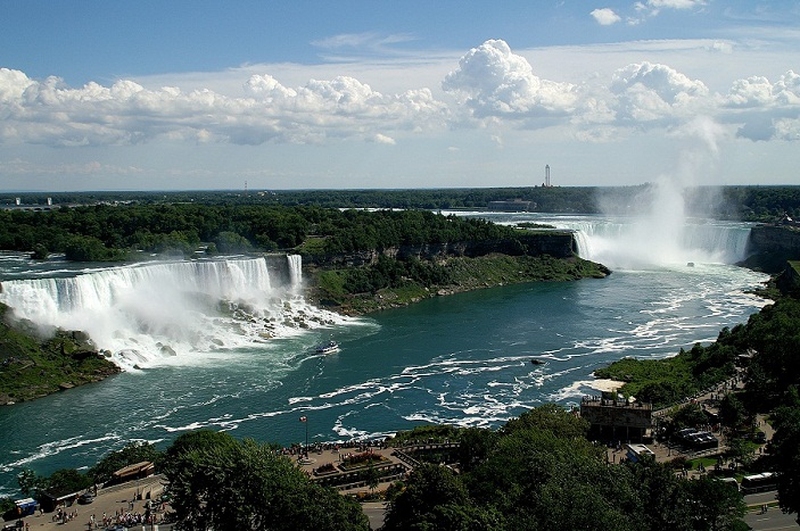 Once on the ground, you will need to rent a car or take a shuttle bus to reach Niagara Falls. The Buffalo Airport Shuttle costs $22. 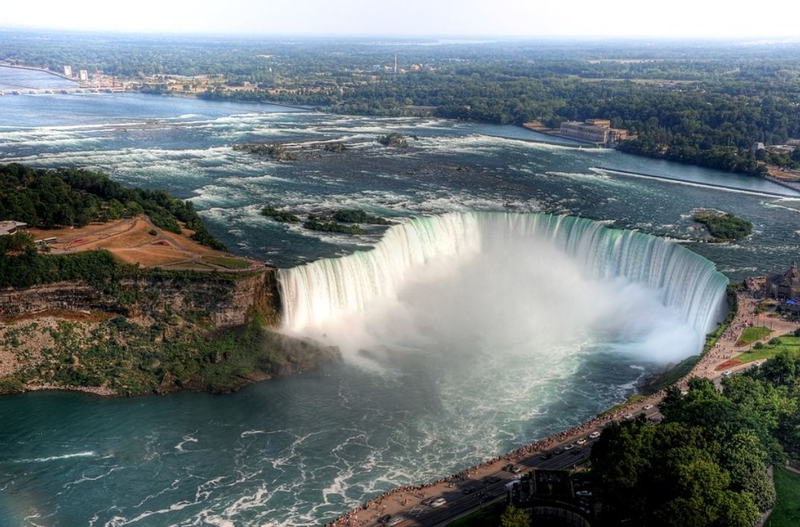 You can also fly to Toronto Pearson International Airport in Ontario, but you’ll face an hour-and–a-half drive in heavy traffic to reach the falls. Check airline ticket websites like Priceline for the best deals. Travel Time: Nine to 10 hours depending on traffic, the route taken and the number of stops. Description: Taking the bus allows you to see the scenery between New York and the fall without the cost of the train or the hassle of driving yourself. Most of the buses leave from the Port Authority Bus Terminal in Manhattan. Several bus companies, including Greyhound, Trailways NY, and City2City Bus provide direct service. One advantage of taking the bus is that you can choose to get off at Niagara Falls, Ontario, on the Canadian side of the border if you wish. Bus travel is also fairly cheap; the standard cost of fare is $54 one way.